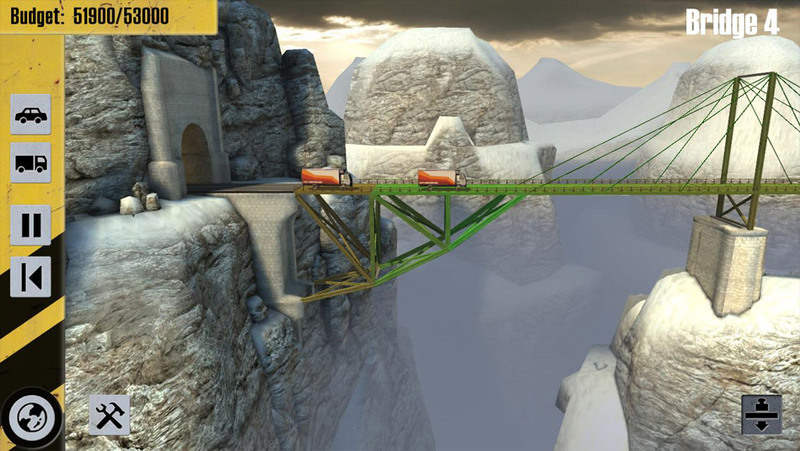 Bridge Constructor puts you in the role of an engineer! Design and create bridges that span deep valleys, dangerous canyons, city streets or raging rivers. Sure you got it right? Send cars and trucks over your bridges and see what happens! 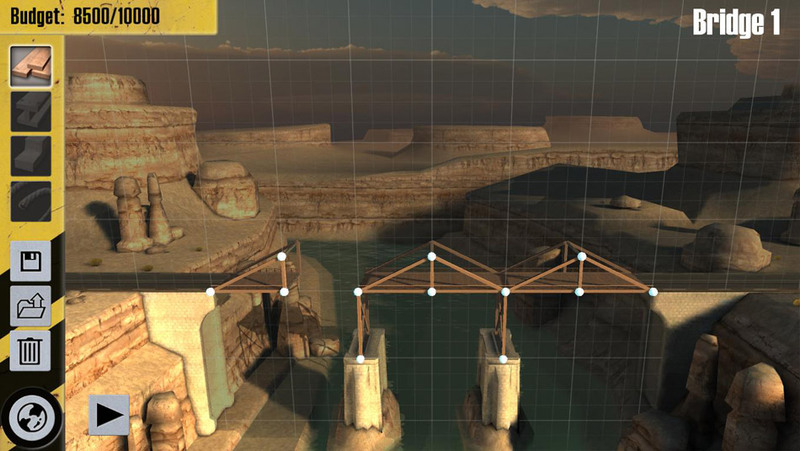 Bridge Constructor features complex physics, realistic materials, and an introductory tutorial. Creativity and ingenuity required! 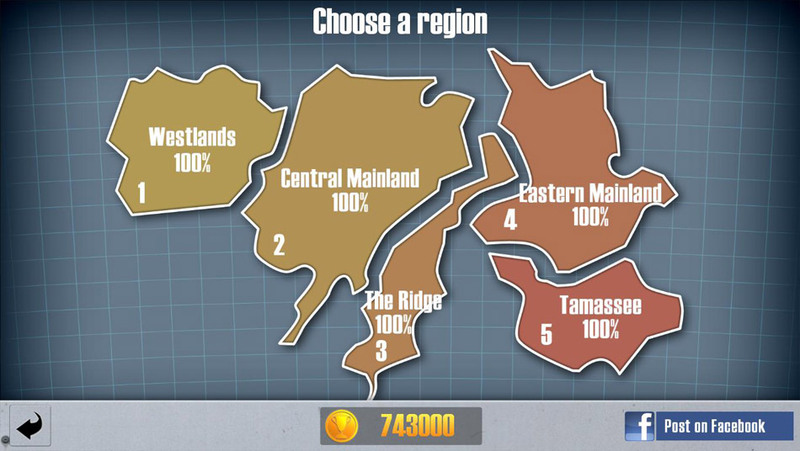 Bridge Constructor puts you in the role of an engineer! Design and create bridges that span deep valleys, dangerous canyons, city streets or raging rivers. Sure you got it right? Send cars and trucks over your bridges and see what happens! 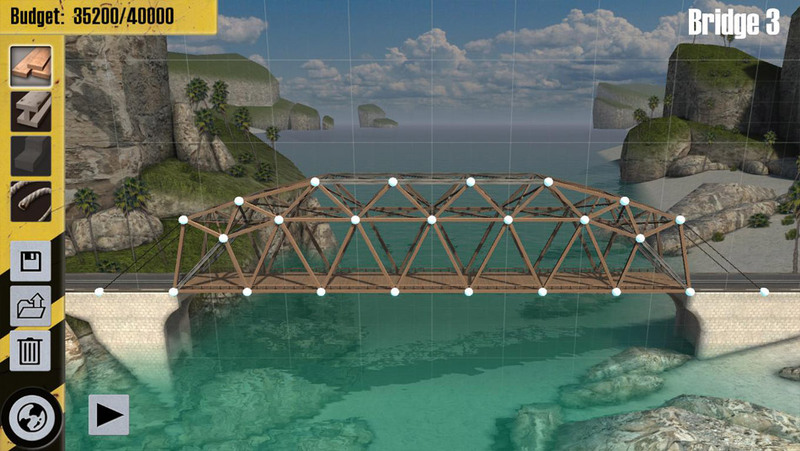 Bridge Constructor features complex physics, realistic materials, and an introductory tutorial.